Jason Stoneburner has been dazzling us with delicious vegetable dishes for a few years now; and he even grows many of them at his own farm in Redmond. 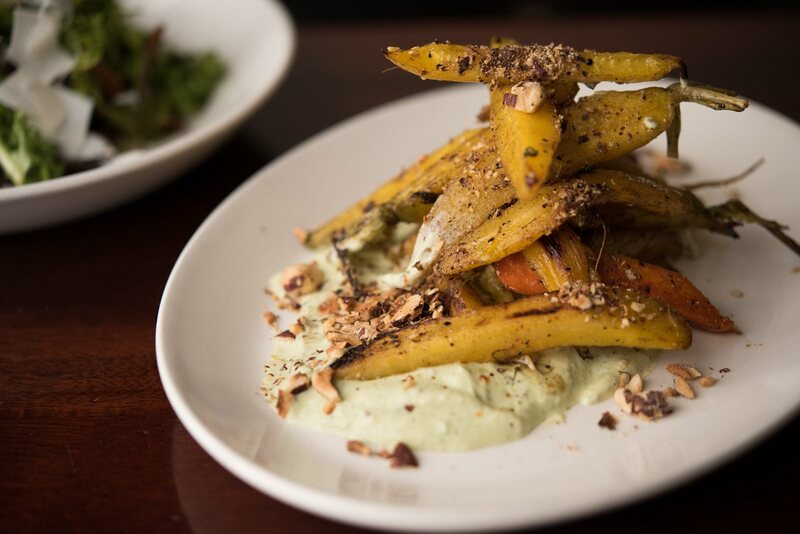 A lot of restaurants are doing roasted heirloom carrots lately, but Stoneburner led the way. The beautiful medley of colored carrots is flavored expertly with cardamom, “dilly” yogurt and hazelnuts. Big, bustling but comfortable, this Mediterranean spot in Ballard is fit for a bar crowd as well families, and boasts one of the best brunches in town to boot. (FYI: It was one of Ruth Reichl’s favorite restaurants when she visited on her book tour this fall).